Veterans and transitioning military service members are ready to supply the STEM (Science, Technology, Engineering, and Math) skills the employer’s nationwide need. Veterans have acquired a wealth of knowledge, skills, and competencies through practical workforce experience. The cutting edge training and education they have received during their military service is transferable to those skills oftentimes being sought by agencies in filling open positions. In addition to these intangible and valuable skills, the Veteran brings a unique sense of leadership and teamwork to your team. They understand the commitment to achieving organizational goals and objectives and have demonstrated the ability to work efficiently and effectively within multi-cultural environments. In hiring a Veteran, you are helping to bring into your agency an individual who is committed to serving both your company and this Nation through their continued service. The qualities of honesty, respect for others, pride, and a powerful sense of belonging enables Veterans to acclimate into the agency culture. Veterans and transitioning service members are eager to serve. Besides the discipline and work ethic that military service instills, Veterans and transitioning service members have technical skills in areas of critical importance: acquisition, information technology, communications, security, information gathering, and medical technology. Many already hold required security clearances for some Federal positions. With about 250,000 Veterans transitioning to civilian life annually, HireaSTEMVet provides a way for the technology community to find and hire top quality talent. 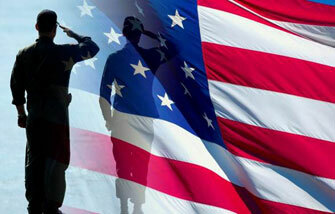 Take a moment today and contact HireaSTEMVet team to find out how you can get one of America’s Veterans on your team!